Home > In the News > 60 years of community living! Let the celebration begin! It all started in a living room, when a group of parents held a meeting to discuss how their children were going to get an education. The children they were meeting about each had an intellectual disability and, back then, were not permitted in the regular classroom, or even welcomed in the neighbourhood school. That was the beginning of the Community Living movement in New Brunswick. Those parents, along with others like them in communities across the province, formed local associations to work for a better life for their children. A while later, these local associations banded together to form a provincial organization that could advocate for change at the government level. That organization, now called The New Brunswick Association for Community Living (NBACL), received its Letters of Patent on April 10th, 1957. Today, six decades to the day since it was incorporated as a non-profit, NBACL is celebrating with the launch of its 60th anniversary year of celebration. “What a great day this is!” said Julie Stone, chair of the Association’s 60th anniversary committee and an advocate for, and expert on, inclusive education. Stone, who is also a former president of both the NB and Canadian Associations for Community Living Boards of Directors, was MC for the event, where several announcements were made. The first of those announcements was that world-famous New Brunswick jockey, Ron Turcotte, will be Honorary Chair of the year of celebration. 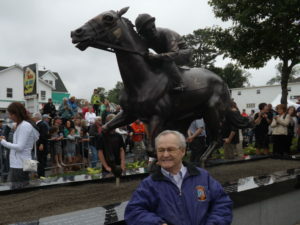 “Ron Turcotte is a household name in most New Brunswick homes, especially those in the northwest around Grand Falls,” said Ms. Stone, when she introduced him. “As most folks know, he is the Canadian jockey from New Brunswick who became internationally famous in 1973 when he rode Secretariat to win the first Triple Crown in 25 years.” Turcotte and Secretariat set the record in every one of the Triple Crown races that year, records that still stand today, almost 45 years later. Turcotte is the first person from thoroughbred racing ever to be appointed a member of the Order of Canada. He is also a member of the Order of New Brunswick and has received many other awards and honours, including having been named to at least eight Halls of Fame. Turcotte was not able to attend the launch, but he did send a greeting, which was read by Danny Soucy, incoming Executive Director for NBACL. “Having become a paraplegic in 1978, I learned the hard way about the barriers, prejudices and misjudgements that people who have a disability face. But even before that I was an advocate for inclusion. All my life, I have believed that everyone has a place in the world and has the right to belong where they want to be, in school, in the workplace and in their community. This is why I appreciate so much what NBACL stands for, and what they do every day so that people who have a disability can live a better life. The slogan for the 60th anniversary was also announced at the launch event: Right to Belong, Every Day in Every Way. “These words mean a lot to the people NBACL supports,” said Julie Stone at the launch. “Most everyone wants to enjoy a sense of belonging, of being part of their school, the workplace, their community. Unfortunately, in the past, and even still today, many children and adults who have an intellectual disability end up feeling isolated and alone because they are left out of things that most people take for granted. 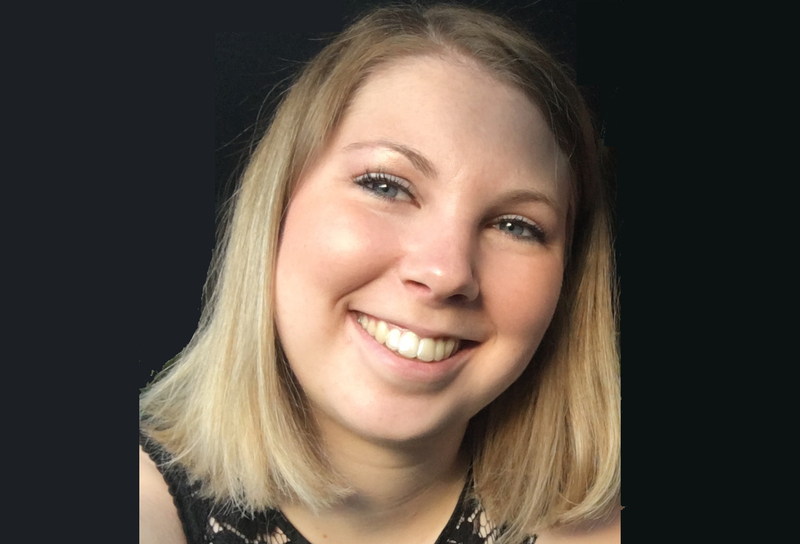 “It’s very important to know about our past, so that we don’t repeat it,” said Krista Carr, Executive Director of NBACL. Funded by the Community Fund for Canada’s 150th, the project will examine and celebrate the history and progress of persons with an intellectual disability in New Brunswick over the past 150 years. NBACL’s proposal was one of only a handful from New Brunswick that received this support. The Community Fund for Canada’s 150th is a collaboration between the Fredericton Community Foundation, the Government of Canada, and extraordinary leaders from coast to coast to coast. The final product from the project will be a website, which will include an electronic and interactive timeline of the past 150 years of inclusion in New Brunswick, as well as a downloadable PDF booklet and a video. Hard copies of the booklet will also be printed and distributed, and the project will be used as a learning presentation in New Brunswick schools, and with other interested groups. A number of activities scheduled to take place over the next year were highlighted at the launch as well, including a conference slated for the 27th and 28th of October featuring guest presenter Shelley Moore. “We are very excited to have Shelley Moore at this event,” said Krista Carr when she made the announcement. 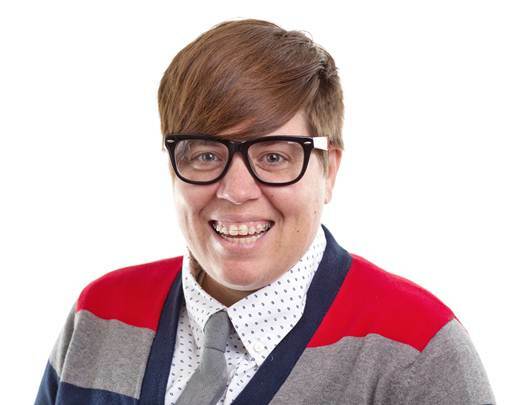 Moore is a highly sought after inclusive education researcher, collaborator, consultant, and storyteller who has worked with school districts and community organizations throughout both Canada and the United States. 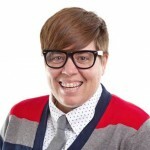 She will present an all-day workshop on Friday, October 27th, will be the featured speaker at the gala Champions of Inclusion Award dinner that evening, and will lead another afternoon session on Saturday. Moore’s visit to Fredericton is a partnership presentation with the Faculty of Education at the University of New Brunswick. “We’re planning many other fun and informative events over the coming year that will offer plenty of opportunities for the community to get together and celebrate the great progress that has been made on inclusion in New Brunswick since 1957,” said Julie Stone. “That progress that has moved us closer to a society where everyone belongs and can play a meaningful, significant, and enjoyable role as an included member of their community. 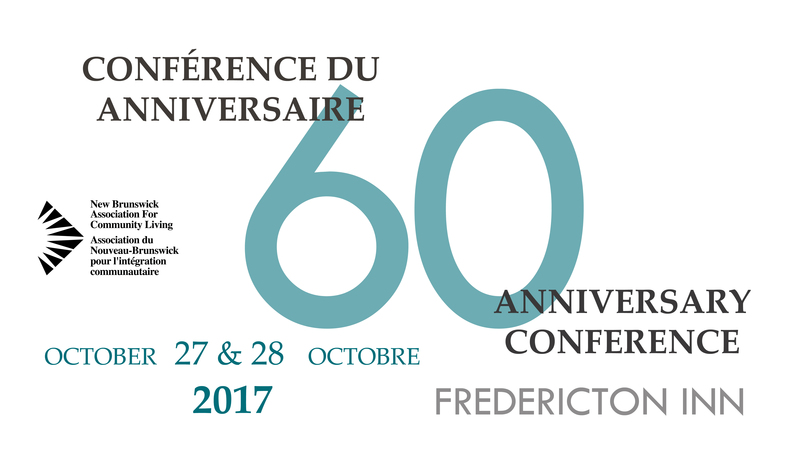 Anyone with ideas for, or interested in joining, the NBACL 60th Anniversary Committee is welcome to contact Lindsey Gillies, ea@nbacl.nb.ca, 506-444-2482.